If you mow your own lawn, then you've probably dealt with gasoline quite a bit. But did you know that improper storage and improper usage of gas is one of the biggest contributors to mower breakdowns? The good news is that it doesn't have to be difficult to get your gas-powered mower the fuel and fuel supplies it needs. When it comes to the most common questions about gas and mowers, we've got the answers you need to get the most out of your fuel and extend the life of your mower. This might come as a surprise, but gasoline is only good for about 30 days. After that, the volatile compounds in the fuel start evaporating. This occurs whether the gas is in the mower or in the gas can. What Gas Should I Buy? It's recommended to only buy name-brand gas from reputable service stations. This is because larger gasoline companies are more likely to employ strict quality-control testing on their products. Similarly, buying from a busy gas station will help ensure you're buying fresh gasoline. There's less chance of gas being stale when the station is selling it regularly. When it comes to fuel, you can just buy the standard 87 octane gasoline. There's no need to go with mid-grade or premium for small engines like the ones found on mowers. Why Should I Be Careful with Ethanol? Most gasoline, especially in the Midwest, contains up to 10% ethanol (a fuel compound derived from organic material, such as corn). Engines on modern mowers are designed to run on gas with up to 10% ethanol. You run the risk of getting into trouble when you start messing with fuel containing more than 15% ethanol, known as E15 fuel. This type of ethanol fuel will absorb water from the atmosphere, which can cause corrosion in the fuel system. Though not sold in every state, E15 fuel is generally available except in the summer because of concerns that it leads to higher levels of smog. 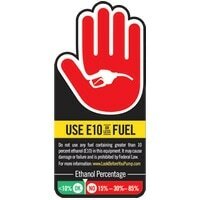 When it is sold, labels are required to indicate that the ethanol levels are higher than usual. Don't worry! Gassing up your mower isn't an impossible situation. In fact, the solution for fuel problems is usually as simple as adding fuel stabilizer. 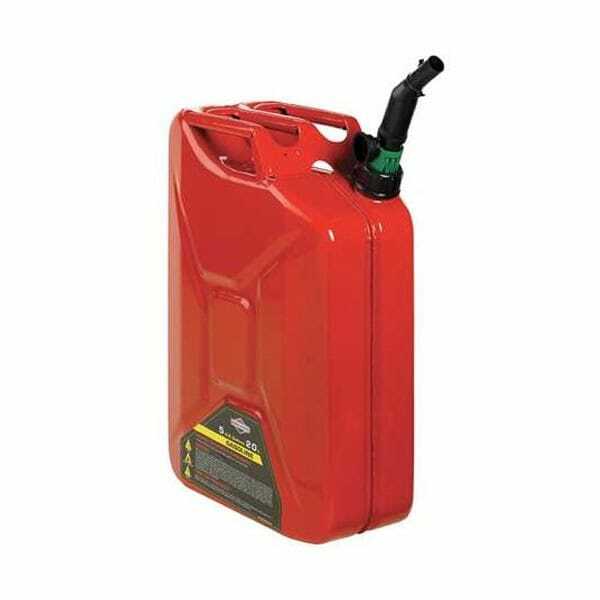 Add fuel stabilizer to your gasoline right when you fill your tank. Stabilizer works by decreasing the rate of compound evaporation from gasoline. Stabilizer also prevents fuel from absorbing moisture from the air. With just a little bit of attention (and a recommended amount of fuel stabilizer), you can protect your mower from some of the most common fuel-related problems and keep it mowing all spring. Lawn Mowers And Fuel Issues - Find Out How To Prevent Fuel Problems With Your Lawn Mower. Our lawn mower how-to library can help you pick the perfect reel lawn mower, push lawn mower, riding lawn mower, zero turn lawn mower, lawn tool or lawn mower accessory.